CNN investigative reporters revealed damning evidence against major insurance companies, such as State Farm and Allstate, which are profiting billions of dollars by underpaying injured car accident victims. The money these insurance companies are denying car accident victims would otherwise go toward doctor visits, lost wages, and rehabilitation. However, new strategies adopted by insurance companies have them making take-it-or-leave-it payout offers. In many cases, they don’t cover even a fraction of the victims’ expenses. Three years later, Roxanne was still fighting Allstate. The company finally offered her $15,000, a sum that did not cover her expenses, much less her pain, time lost from work, or the emotional anguish of not knowing whether she would be able to afford her treatment. This tactic is part of a strategy insurance companies are using to make themselves billions of dollars. CNN’s year-and-a-half investigation into the insurance industry found that if you are injured in a minor accident, major insurance companies will likely challenge your claim. They will drag you into court, and take years before making you an offer. This offer is often significantly less than your claim is worth. Why would an insurance company act with such reckless disregard toward your personal well-being? The answer is simple. Insurance companies make more money if they pay you less money for your injuries, even if you need the money to cover necessary medical bills, lost wages, and rehabilitation. According to Jeff Stempel, a Nevada insurance law professor, accident victims are getting hurt further by being dragged into court by insurance companies. Other policyholders aren’t seeing any benefit, such as reduced premiums, when Allstate or State Farm takes someone who needs money for their injuries to court. This practice isn’t saving the consumer money at all. In fact, the only real beneficiary of keeping money from the people who need it are the insurance companies themselves. Professor Stempel says, “To continue this kind of program is, in my view, institutionalized bad faith.” These insurance companies seem to believe dragging injured car accident victims through court is better than helping them pay their bills. The math behind the insurance companies’ strategy is simple. Take $1,000 off of one million claims and you’ve essentially made $1 billion. Do this with every claim over a number of years, and you’ve made billions of dollars. “Smaller, walk-away settlements” are take-it-or-leave-it offers years after the actual accident occurred. Battles have already ended, bills added up, and people fear that they won’t get any money for their claims. 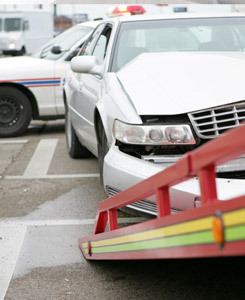 Insurance companies can force an injured victim to accept whatever they offer. This tactic preys on the fear of injured car accident victims. Those victims wonder if they will ever get money for their accident. Our law firm refuses to stop helping people fight against unfair insurance companies. We will fight for you against any corporation that puts profits over people. Call our law firm today or fill out our online form to talk to someone from our firm. We want to help.